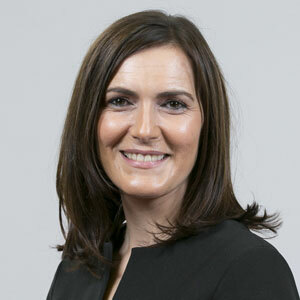 Anna Davies is Professor of Geography, Environment and Society at Trinity College Dublin where she directs the Environmental Governance Research Group and is on the steering committee for the Trinity Centre for Future Cities. Anna is a member of the RIA Geographical and Geosciences Committee and The Planning and Environment Research Group of the Royal Geographical Society (UK), as well as being the Secretary of the European Roundtable on Sustainable Consumption and Production. In addition, Anna advises the Irish Government on matters of environmental governance in her roles as an independent member of the National Economic and Social Council and as a member of the Climate Change Advisory Council. Anna is a member of the Board of Directors of The Rediscovery Centre, a social enterprise dedicated to providing community employment and training via innovative reuse of unwanted or discarded materials. Widely published, Anna has produced more than 80 peer reviewed books, book chapters and journal articles and is currently the Principal Investigator of a Europrean Research Council Consolidator Grant entitled SHARECITY. In 2012, she was awarded a prize from the Geography Society of Ireland for her contribution to Society and Community.